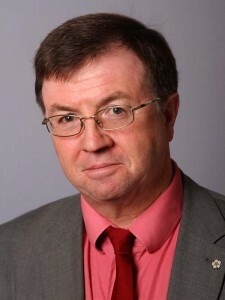 Brian Smedley is a Town & District Councillor for the Bridgwater Westover Ward and currently the Leader of Bridgwater Town Council and Deputy Leader of the Labour Group on Sedgemoor District Council. Elected in 1990 in a By-Election fought at the height of the Poll Tax campaign he has been a councillor ever since, first for the Victoria Ward (1990-1996) then for the Hamp Ward (1996-2011) and now for the Westover ward (2011-) where he currently lives. His musical history dates back to the Bridgwater punk rock scene in 1977 and the band the Dangerous Brothers, for which he was the principle song writer, he went on to found the Sheep Worrying organisation which produced an alternative magazine, of which he was the editor and ran a theatre company, for which he wrote, directed and acted in numerous plays and musicals during the 1980′s. It was during this period that he discovered Bridgwater’s historical links with Czechoslovakia through the Vernon Bartlett election of 1938, about which he wrote a book, a play and a web site www.vernonbartlett.co.uk. In 1989 his daughter Cathy was born on the night of the Velvet Revolution . In 1991 he formed the Bridgwater Czech-Slovak Friendship Society which led in 2002 to the creation of Bridgwater International. Brian is a member of Bridgwater Trades Union Council and vice chair of his UNITE Union branch. He is a member of The Somerset People’s Assembly, Brdgwater Arts Centre, Bridgwater & District Civic Society and Bridgwater Forward. On Sedgemoor District Council he is the Chairman of the Corporate Scrutiny Committee.